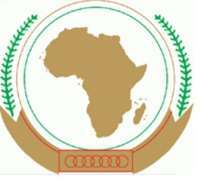 ADDIS ABABA, Ethiopia, April 30, 2015/African Press Organization (APO)/ -- The Chairperson of the Commission of the African Union (AU), Dr. Nkosazana Dlamini Zuma, continues to follow closely the evolution of the situation in Burundi. She expresses concern at the serious threat that the developments of the past few days pose to the long-term stability of Burundi and the hard-won gains made over the past years towards peace, security and stability, as well as to regional stability. She deplores the loss of life, conveys the AU's condolences to the bereaved families and wishes speedy recovery to all those who were injured during these most unfortunate incidents. She also expresses her deep concern over the increasing number of refugees arriving in Rwanda, due to the prevailing situation on the ground. The Chairperson of the Commission underscores the need for dialogue among the Burundian stakeholders, in order to resolve their differences peacefully and create conditions conducive for the holding of peaceful, inclusive, free, fair and transparent elections. The Chairperson of the Commission reiterates the AU's urgent appeal for all concerned to exercise maximum restraint and refrain from any action likely to further complicate the current situation and efforts towards its early resolution. She echoes the call by the Peace and Security Council (PSC) for the urgent disarmament of all militias and illegal armed groups, and its strong condemnation of acts of violence. She stresses the need to ensure the respect of fundamental freedoms, in line with Member States commitments under the AU's instruments on democracy and human rights. The Chairperson of the Commission underlines, once again, that Burundi is at a critical juncture. All stakeholders must rise to the challenges at hand, to enable the country to peacefully overcome the current problems and deepen democracy and the rule of law.